"Waterfall Personal Checks" product is already in your cart. Embrace the serenity and the majestic beauty of the waterfalls featured on this check design. Waterfalls are one of the natural wonders that inspires awe and creates a soul deep connection to nature not often found in our busy day to day lives. 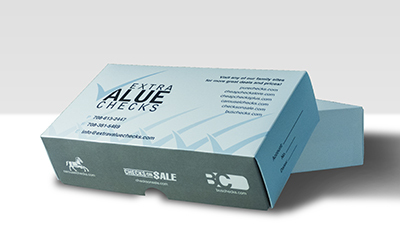 Order Waterfall Checks personal checks exclusively from Extra Value Checks. Availably in single and duplicate check format. Matching address labels and checkbook covers are also available.